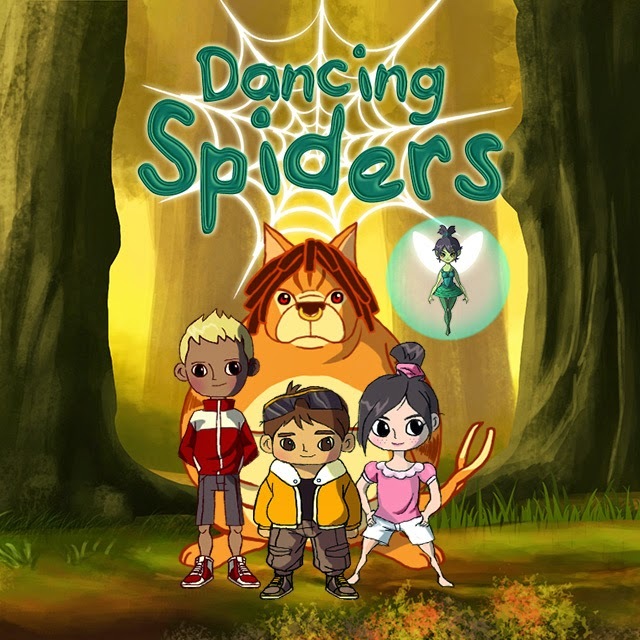 Today we are interviewing Sandra Hugs, creator of the interactive storybook app Dancing Spiders. I’m passionate about helping children and positive parenting. The concept of Dancing Spiders was created from a passion to help children to be “street savvy”, to be sensible in handling real life issues. Describe Dancing Spiders in a few sentences. Dancing Spiders is an interactive storybook app to enlighten children about molestation. Developed by a Singapore team, the app will deliver a magical experience with touch-triggered animation, narration, music and sounds for young readers. What inspired you to write an educational book for children about molestation? Years ago, I learnt that some young girls about 7-8 years old were groped inappropriately by young boys on a school bus. The boys did it on a dare by an older boy. The little girls didn’t know it was wrong for others to touch their private parts. I was shocked, and wondered how the parents would feel had they known that their little girl was molested. What about the little girls when they realized later that they were actually molested? Would they feel sick? By the next day, the boys were bragging in the school about what they had done. You would have thought that the bus driver uncle would have stopped the incident. No, he did nothing. He probably thought that boys will be boys. I had been thinking about this incident, wondering why the children did not know about molestation, why their parents did not talk to them about it. Was it a case of no time, or that it was a difficult topic to broach with their children, or they thought that someone else would do the job for them? So, I thought I could do something to help the children. Hence, this storybook app to enlighten children on molestation. Why did you decide to use an interactive app to convey your message? Some parents find it difficult to put across a sensitive topic like molestation to their children. But it is important to educate them early even if it is a sensitive topic. It is a necessity. And what better way to do so than through storytelling? Children love stories! A lot of lessons, values and morals can be taught through storytelling. To address the sensitivity of the topic, I have used magical creatures to pare down the harshness of the issue and yet, bring across the message. I brainstormed and worked closely with friends and the illustrator to work around the difficult parts to ensure that the app is wholesome and suitable for children. The app helps the readers to develop thinking skills as well. The interactivity of the app empowers the reader to think about the situation in the shoes of the character when it meets a difficult situation in the story. The reader will have two options to choose from. One of them is right. How the story turns out depends on the decision taken. This helps the reader to understand and learn the consequences of each of the decision, and hence, the right path as the story unfolds. It reinforces learning. • There is a simple interactive game for the reader within the story. • Readers will have the option to take them through the story, or read the story themselves. They can stop the story at any time. • It has interesting magical characters to engage the children, and the language is simple to understand. For instance, an interesting character called Mr O, a talking tree that can answer any question. What was the creative process for Dancing Spiders like? Hours were spent researching, talking to parents, councilors and friends. I learnt a lot in the process. Not just the technical and creative process, but how people perceived this topic. The most difficult part was writing the story and illustrating it as this is about a sensitive topic - how to portray the situation in an age appropriate manner, and yet, convey the message. What drove me on was the passion to help children avoid the traumatic experience. I thought if this book could save a child from being molested, then it is already worth the effort. What age is Dancing Spiders targeted at? Why did you decide to use a crowdfunding approach to funding the development of Dancing Spiders? The crowdfunding process will allow me to evaluate users’ reactions and help facilitate societal involvement. It is also a new way of gaining exposure. The goal of this campaign is to reach those who share the vision of empowering children through learning, those want to share ideas, and to create a community of like-minded individuals who are interested in collaboration on the project. For those who are interested in contributing to the creation of Dancing Spiders, how do they learn more about the app and contribute financially? They are encouraged to go to http://igg.me/at/dancing-spiders, watch the videos, get a sneak preview of a part of the storybook app and contribute from as little as $1 to make a statement. Contributors also can get the app at a special price. Anything else you’d like potential readers to know? We need your support to bring this entertaining and interactive storybook app to life. Help kids to live smart!